Microsoft has finally reached a deal to acquire Nokia's devices and services units. This deal will also include the Finnish company's patents and mapping services. Under the reached upon agreement between the two companies' boards of directors, Microsoft will pay €3.79 billion for the devices and surfaces business. 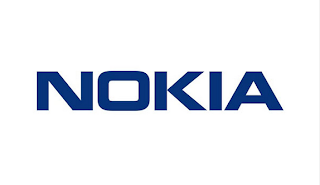 Nokia's patents will fetch an extra €1.65 billion, thus bringing the transaction total to €5.44 billion. The Redmond giant will pay the sum in cash. The deal will also see Nokia's CEO Stephen Elop return to Microsoft, where he is going to head the Devices division. Risto Siilasmaa takes in as Nokia's CEO on an interim basis going forward. Once the deal closes, 32,000 people will transfer to Microsoft. Out of those, 4,700 are in Finland, and 18,300 are directly involved in manufacturing and assembly of products worldwide. There seems little doubt Nokia shareholders will object, as the company's own announcement features Nokia chair Risto Siilasmaa saying "After a thorough assessment of how to maximize shareholder value, which includes consideration of a variety of alternatives, we believe this transaction is the best path forward for Nokia and its shareholders."